In this tutorial we will install cPanel and WHM on CentOS 7 or on RHEL and CloudLinux Platforms. In tutorial I have used DigitalOcean as web server. You can choose any of managed or unmanaged web server for this setup. 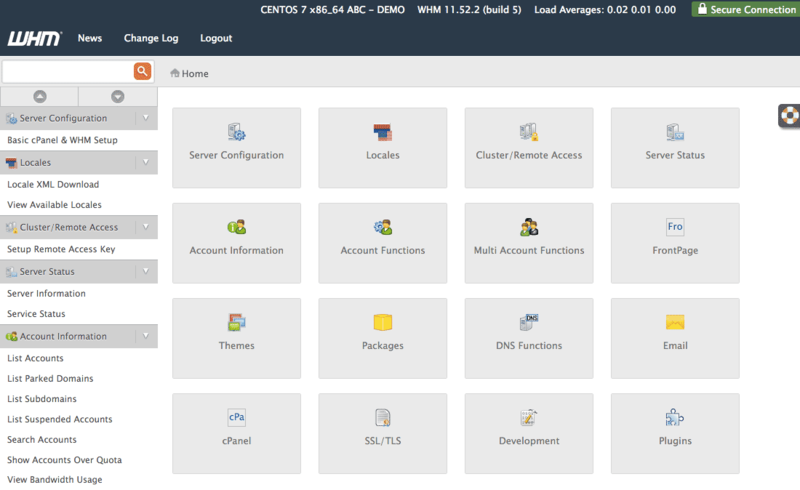 Lets see about cPanel and WHM and know how to install them on CentOS 7.
cPanel is a web aplication that allows user to administrate servers through a GUI (Graphical User Interface) screen instead of traditional command lines which we hardly remember nowadays. Web Host Manager or WHM in short, is a powerful program that allows administrative access to the back end of cPanel. Before setup we also need to disable default firewall incase it is enabled. Let’s do some system checks before installing cPanel and WHM. Make sure you have enough space to begin the installation process. Now we will disable the default firewall which might be enabled. In many cases it is disabled by default. In case it is already disabled skip this step. Perl referred to as Practical Extraction and Reporting Language, it is an interpreted programming language with a huge number of uses, libraries and resources. Arguably one of the most discussed and used languages on the internet, it is often referred to as the swiss army knife, or duct tape, of the web. After installation of perl, set the hostname of server, the hostname should be in FQDN i.e fully qualified domain name. To check server’s current hostname you can use hostnamectl command. These command will change your session to the home directory, then downloads the latest version of cPanel & WHM, and runs the installation script. Once the script has been started, it will setup everything for you. This setup may take about 1 hour to complete, in my setup it took about 40-45 Minutes to complete. Once the installation gets completed you will be provided details to access WHM. Once you logged in, you will be asked for licence agreement and you need to configure server’s networking, ip address and nameservers according to you. In most of cases all things are filled up already, if not confirm and then fill them. 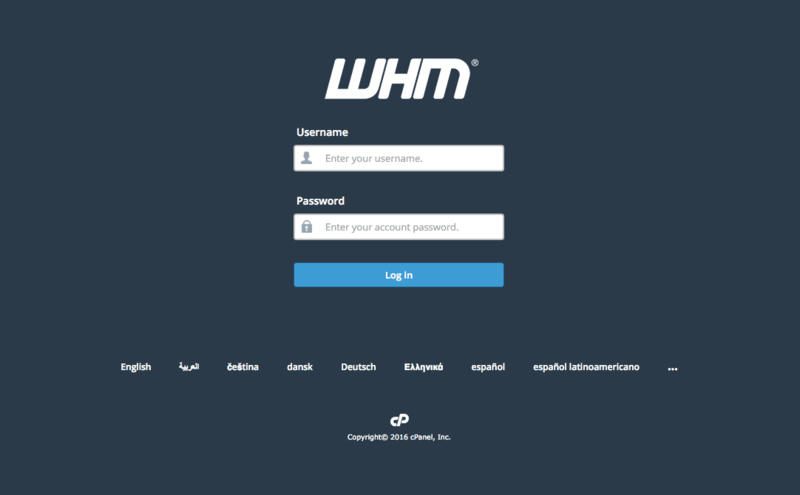 As soon as you done with setup you can access WHM and manage cPanel accounts. You can use it as you want. Make sure this is trial installation; you might need to buy a complete license to activate cPanel and WHM for unintrupted uses. Hope this tutorial is helpful to you, incase you have any concern or feedback please let me know. Hi Thanks, but I have a problem when installing with my MySQL engine. Do I have to uninstall it? While running this setup make sure you have no service is installed, this setup needs only clean CentOS image. Bro host name not working I am on google cloud instance please help, cPanel/WHM both working with IP address but not with host name. Hello, Rajan, I suggest confirming that domain name must resolve to specified IP (if you have installed through IP). If already done that then wait for the DNS Propagation. Also, confirm that you have followed “Set Hostname” step properly. Once everything is fine, it should work because you said that both cPanel and WHM is working on IP address. When I install it on my vps. Example: My domain like etc.com host name as etc.com ok. Now question is which is my domains etc.com’s DNS. Is it my VPS IP. Just it or any other change needed my domain in Namecheap. Thank you. Hello, Nahidul, first I would like to tell you that I somewhat understand your question. As far as I understand your question is – You are confused between your domain name or DNS selection. You can use any domain name (root domain or subdomain), it is on you. If you want to run a website on your root domain then consider installing this on a subdomain. For subdomain, I would like to suggest different VPS because this installation requires a clean VPS without any software pre-installed. You have point subdomain on different IP. If there is any other doubt let me know or connect with me on facebook.